Florida Gators football is unlikely to see a kickoff before 3:30 p.m. over the month of the 2016 season. 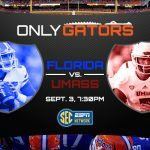 The Gators will open head coach Jim McElwain‘s second campaign against UMass on Saturday, Sept. 3 at 7:30 p.m. in a game that will air live nationally on SEC Network. Florida will then face Kentucky on Saturday, Sept. 10 at 3:30 p.m. on CBS, as previously released. The third week, UF will host its third straight opponent when North Texas comes to town on Saturday, Sept. 17 for a 7:30 p.m. kickoff on ESPNU. 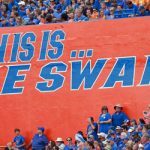 Though not released yet, it is expected that Florida’s highly anticipated showdown with Tennessee on Saturday, Sept. 24 will be a late-afternoon or evening game. Last season, Florida did not have a kickoff before 3:30 p.m. until its ninth game of the season against Vanderbilt. 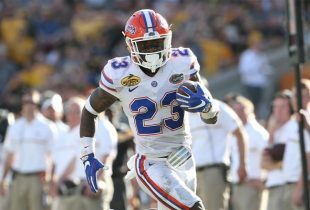 This marks the third straight year that the Gators will not have a kickoff around 12 p.m. during the first three weeks of the season.